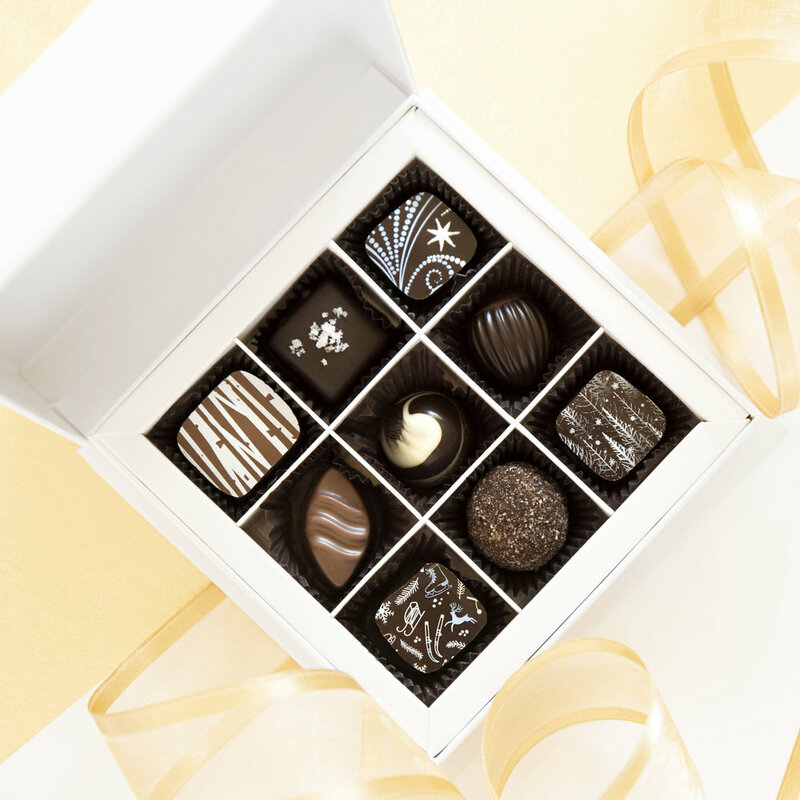 Business Gifting — St. Croix Chocolate Co.
Our hand-crafted and award-winning chocolates will *wow* even the most discriminating customers, board members, staff, colleagues and bosses. You can add personal notes or custom materials in each box for no additional charge. All boxes include a delightful assortment of our special holiday flavors such as warm gingerbread and spiked eggnog paired with our classic flavors including sea salt caramel, raspberry, maple pecan, or others. When you order at least 10 boxes and pay in full by November 22, we’ll subtract 10% from your total before calculating your shipping costs. Contact Deidre at (651) 433-1400 or deidre@stcroixchocolateco.com for more information, including shipping options and deadlines. Gorgeous glossy presentation box, decorated festively with your choice of gold, green or red premium ribbon. Certified organic bars come in two beautiful bird designs. Boxes are made from sustainable, renewable grass materials. Choose dark milk chocolate (52% cacao) or dark chocolate (66% cacao) for $14.99 each. With classy gold foil reindeer on a cream background, this box is as lovely to the touch as it is to the eye. ©2019 St. Croix Chocolate Company. All rights reserved.